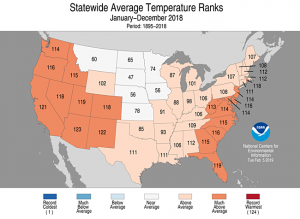 The National Centers for Environmental Information are continuing to catch up from the government shutdown and provided their annual climate summary for 2018 for the United States this week. 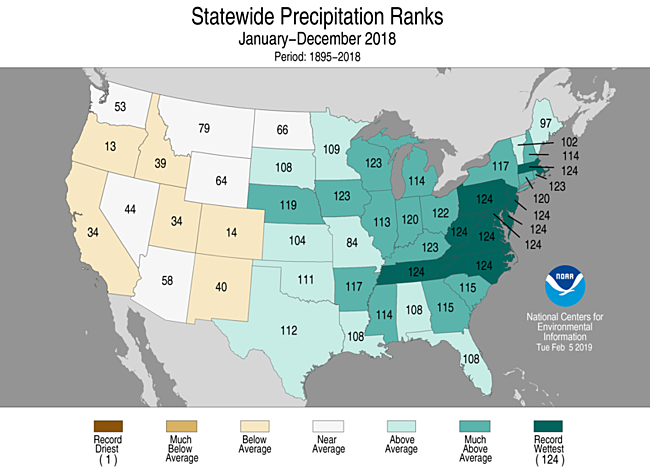 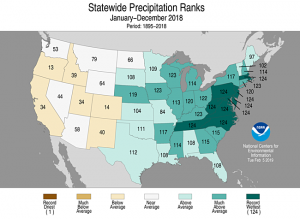 It shows that as a whole, the Southeast was much warmer than normal and was also much wetter than normal, with North Carolina and Virginia experiencing their wettest years ever in 124 years. 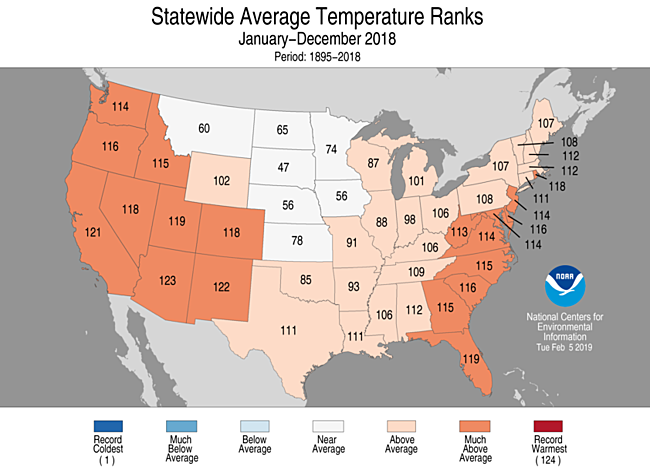 You can read the report and link to more statistics at https://www.ncdc.noaa.gov/sotc/national/201813.